The oldest Australian city of Sydney is a city proud of its famous sun-drenched beaches, its multiple cultures and beautiful harbours, giving it the nick name the Harbour City. Sydney’s skyline is easily recognisable mainly due to its variant architecture styles ranging across centuries to make it one of the most beautiful cities in Australia and the world. It is considered a top tourist destination with the world-class views from Sydney Harbour among other attractions. A look at commercial property for lease in Sydney will show you a thriving industry with role helpful players like CommercialProperty2Sell giving you any desired leasing assistance. Sydney is a crowd puller and this ensures that its businesses thrive and yours can thrive with the city. If you lease a commercial property now, your business will see enough growth to sustain all the business expenditures and giving you reasonable profits and we will ensure you get the best rates. Even if you want to change, you can do so without being tied down to your own property in case you had bought it and we will still be around to assist you. Sydney is appropriately placed for business, and this status will continue for a very long time to come. The advantages for leasing commercial property in such a city are available in the undeniably strong economy of this land. Its prosperity will draw your business along and your business prospers at the same rate. This is an opportunity worth taking the plunge for, why wait? Great opportunity to establish or relocate your business to a more modern facility and functional business park. 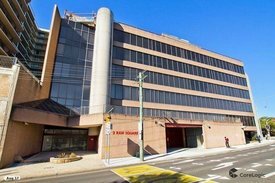 Located centrally and close to the M5 and Sydney Olympic Park this office space provides separate offices with a large waiting room. Be a part of this growing region of Sydney yet staying close to the Sydney CBD. Features include: Ducted air conditioning Male and female toilets Kitchenette with instant hot water 5 car spaces Storeroom Variety of small to large office suites NB. Outgoings are to be negotiated between the two parties. Suitable for most types of business please feel free to inquire today by calling Ray White Rentals on 0431 268 515 or John Shalala 0405 535 611. Alternatively contact our office on 9747 2222 to speak with one of our friendly staff. This property is perfectly poised and positioned for commercial purposes with excellent exposure and handy to most local amenities such as trains shops. Perfect for a solicitor, accountant etc. Close to CBD and local transport. Also next door to the Ashfield RSL THIS PROPERTY OFFERS CONVENIENCE PLUS.... Features include; Polished timber floors built in robes High Ceilings Modern kitchen Internal laundry backyard Two off street car spaces. For more inquiry or to arrange inspection contact John Shalala on 0405 535 611 or Ray White Rentals on 0431 268 515. Alternatively call our office on 9747 2222 and speak with one of our friendly staff member's. Gunning Real Estate is pleased to present this storage/workshop space for lease. Located in the heart of Sydenham/Marrickville industrial precinct, the property is just 350m from Sydenham train station, and is in close proximity to Princes Hwy, Port Botany, and the City. The property features an open plan area, 1 partitioned room, own kitchenette and M/F toilets with shower. 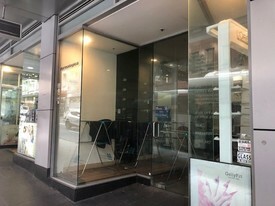 KEY FEATURES: Internal area: 144sqm Roller door access (3.1m height) 3 phase power Own kitchenette + M/F toilets with shower Suits many uses Please contact William Wu (0450 250 123) for further info or inspection. All figures above are approximate. 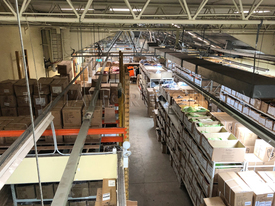 Easily Accessed, Large Warehouse + Office $195,000 + GST Gross p.a. 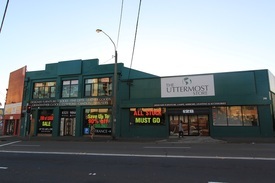 Exposed Corner Shop $29,500 + GST p.a. One of only 2 properties on site, this is an extremely well presented factory accessed by one container height roller door. Internal clearance in warehouse is approximately 7m and is clearspan. Additional showroom /office on ground floor. Mezzanine office is carpeted, air conditioned and with own amenities. Ideal for bulky goods showroom or warehouse distribution. 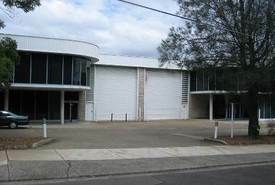 This high exposure and easy access location will suit any commercial/retail needs with generous warehouse/office space. High passing traffic Please note entry is through the rear also with roller door access Zoned IN1 Toilet & Shower facilities Open plan layout 144 sqm approx. Located on the busy intersection of Parramatta Pyrmont Bridge Rd and minutes from Sydney CBD, this space has a mix of modern and original features, this single level retail showroom building would be an amazing location for any business. The property boasts an abundance of customer parking, large frontage with high passing traffic, delivery access and workable floor layout. Features include; Perfect Retail/showroom Approximately 250m2 plus large common carpark 14m frontage Rear access via laneway High exposure from Parramatta Road Strong branding opportunity For more information please contact Ray White Rentals on 0431 268 515 or John Shalala on 0405 535 611. Alternatively contact our office on 9747 2222 and speak with one of our friendly staff.